Rollerblade Skate Performance Race Frame 324 mm 5x80 "
Rollerblades Inlineskate Race Frame with dual box on the reception of 5x 80 mm wheels. 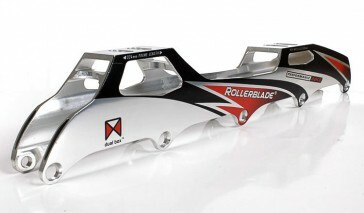 The racing Frame is suitable for endurance and speed skating. 2 pieces Rollerblade Performance Race tracks without axes.